Asking your manager for feedback is an essential part of getting what you want out of your career. But asking someone to be honest about your shortcomings seems painful. It’s much less painful to believe that what happens in the workplace is out of your control. However, that’s a total myth. The reality is you have to take the reins of your career and drive it toward the goals and objectives you want to reach. Let’s debunk three myths of the workplace and talk about how feedback can be your guide for moving forward. Instead of waiting for feedback from your manager, you can be proactive about it. 1. If you want feedback, ask for it. 2. When you do good work, advocate for it. 3. Make time to discuss work expectations with your manager. Reality: You Don’t Know What You Don’t Know – Unless You Ask. When you’re getting feedback regularly throughout the year, you have chances before your annual review to right any wrongs. You and manager will also be on the same page about your career goals, so you can ask what tangible steps you need to take to get the promotion of your dreams. You’re able to address issues as they arise, so they never snowball into job threatening missteps. Informal.You can ask your manager for feedback following an important meeting or presentation. This is establishes the norm that feedback is welcome and wanted. Regular 1:1s.You should get a regular talk session on your manager’s calendar. Doesn’t matter if it’s once a week, once a month, once a quarter -- as long as you know when it’s happening. If you have a performance management platform, posting status updates might encourage your manager to use the check-ins tool as well. Peer-to-Peer. Your manager isn’t the only one who can offer some perspective on your performance. Teammates and colleagues in other departments you partner with regularly can likely offer up useful advice and suggestions. 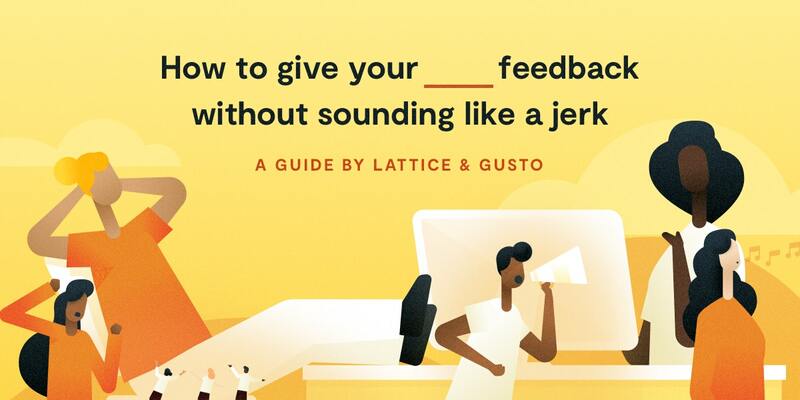 If you give feedback to your peers regularly, chances are you’ll get feedback back from them. You can also solicit feedback from clients. Keeping them happy keeps them loyal. “The squeaky wheel gets the grease.” Even the best products need marketing. Apple, Nike and Toyota are leaders in their industry, but every year they spend millions of dollars reminding the general public how great they are. You’re not the only thing on your manager’s mind, sometimes they need to be reminded that you’re a valuable member of their team. Not all feedback is negative. Often, an opportunity for feedback is an opportunity for your manager to sing your praises. Even just a quick check-in after a meeting like, “I feel like that went pretty well, did you get the same impression?” can really pull your accomplishment front and center for your manager. 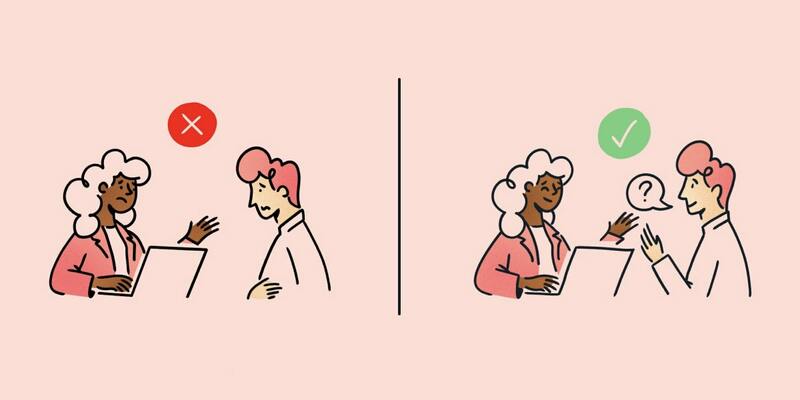 While you may be concerned about coming off as needy, we all need validation that we’re doing a good job and we’re on the right track for success. Plus, you want to make sure your perception of how well you’re doing lines up with your manager’s. “What should I continue to do? What should I stop doing? What would you like me to start doing?”When you ask your manager what you should continue to do, what you should stop doing and what you should start doing. you open the door for your manager to praise you, but in a balanced manner by also highlighting where you can pick up the slack. “Where did I excel during the meeting?”If your manager tosses you a “Good Job!” asking a follow up question for more information makes it easier for you to replicate the behavior in the future. Guiding questions like, “What action did I take that really stuck with you?” and “What are some things I did that I should always incorporate into my work?” are more helpful to you than taking a compliment at face value. “Can I have some time to process your feedback?”Don’t come to your own defense if your manager gives you a less than stellar review. It might seem like the best way to neutralize negative feedback is to explain away your mistakes, but that’s not the route you want to go. It will just make you come across as defensive. Take in your manager’s criticisms, then say you’d like some time to process what they’ve said. Schedule a follow up meeting after your emotions have settled. Recap your manager’s feedback, clarify what your role was in the situation and outline the steps you’ll take in the future. “Do you have a sec? I’d like to show you how that advice you gave me paid off.”Feedback is a two-way street. If something you did well was a result of feedback your manager has given you in the past, let them know. By showing your boss how you’ve benefited from their coaching or the example they’ve set, they’re more likely to continue to invest time in making you a stronger employee. It can be easy to let your manager set the tone in the office, but sometimes managers need coaching too. Did you know that millennials are twice as likely to value feedback from their managers? Yet only 19% say they receive feedback regularly and of that subset, even less find it meaningful. How can this problem be solved? Ask for it. Less than a fifth of millennials are regularly asking their managers for their guidance. There’s generally gap between how we see ourselves and how others see us. When you ask for feedback from your boss, you’re closing that gap. Because what isn’t a myth is the old saying, “Perception is reality.” You can’t change how your boss sees you if you don’t know what their perception is. Create your own benchmarks. When your boss speaks on your performance, take notes. Email them a recap, track your progress and schedule a follow up meeting to outline how you implemented their feedback. Put out a welcome mat for feedback. Make your manager feel super comfortable giving you their honest opinion by receiving their input graciously. Always thank them for their words and their time. 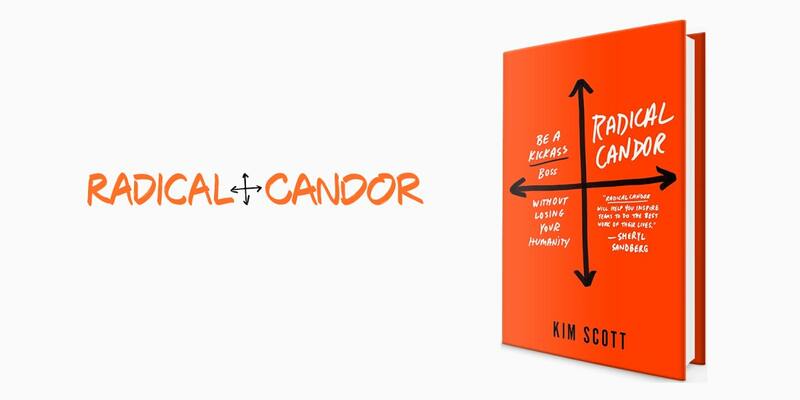 If you’re uncomfortable with something that was said, ask for clarity, “We you say this didn’t meet your expectations, where did I fall short on this task?” You can also follow up with a trusted friend to better assess if what your boss is saying is true. But even if it isn’t, it’s on you to change the impression you’ve made. Don’t let myths in the workplace lead you astray. Get the truth straight from the source: your manager. Being open to honest feedback is the only way to grow your career. So, whether your manager is ready for real talk or not, it’s up to you to guide them toward it if you want to succeed. Asking your manager for feedback is an essential part of getting what you want out of your career. But asking someone to be honest about your shortcomings seems painful.